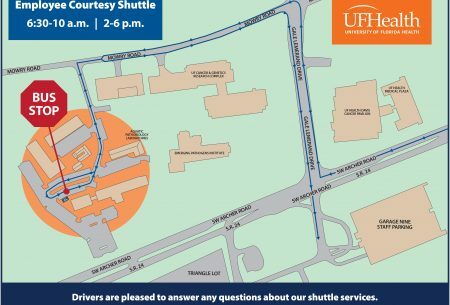 An infrastructure upgrade for UF Health Shands Hospital’s IT telecommunications system will require construction at the back of the hospital building (located on 1600 SW Archer Road) for about a year, from now through March 2020. UF Health Jacksonville broke ground on a joint project with the YMCA within the new community of Wildlight in Nassau County. 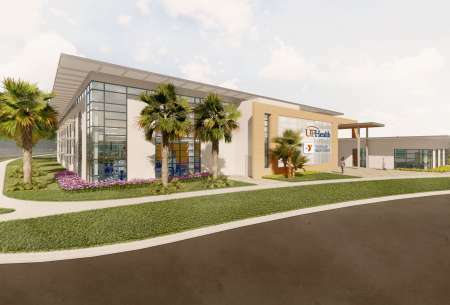 UF Health Rehabilitation – Wildlight will have 36,000 square feet and include a YMCA fitness center. 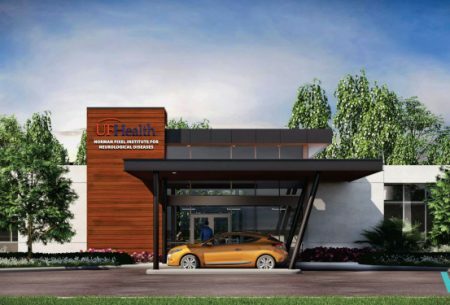 A $20 million gift helps launch Norman Fixel Institute for Neurological Diseases at UF Health. Building on emergency response and practice-ready teaching. On Jan. 7, the newly constructed Archer Road parking lot is scheduled to open, adding 185 spaces for faculty and staff with Blue decals. The lot can be accessed from Mowry Road. Area impacted from Shands main hospital to 16th Avenue/Garage 9 and Triangle parking areas. Pathway access in children’s hospital lobby rerouted during renovations. 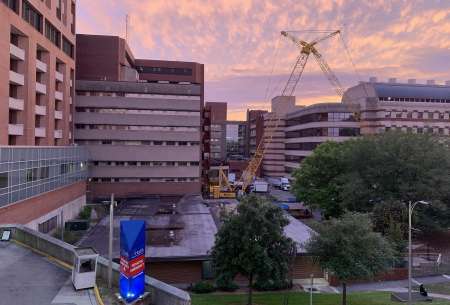 Renovations are underway for eight state-of-the-art Labor Delivery-Recovery rooms, along with additional nursing and physician workspace and physician call rooms recently vacated by the former Neonatal ICU. Never miss your shuttle! TransLoc Rider helps riders plan travel. The facility is expected to be completed by Oct. 1, 2018. UF Health is in the midst of extraordinary growth and development as we continue to move forward together. In an effort to keep our patients, visitors, faculty, staff and community informed of the exciting changes, I’d like to introduce you to Blueprints for progress. 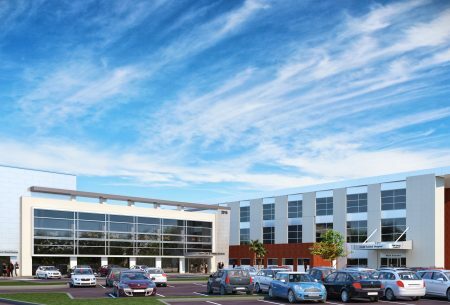 As construction, relocation and renovation projects continue at our Gainesville and Jacksonville campuses, Blueprints for progress serves as a tool to communicate key project updates. 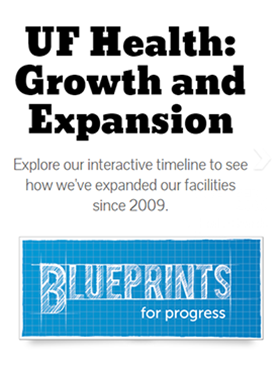 Featuring photo galleries, videos and project announcements, blueprints.ufhealth.org is a dynamic website that houses current and future clinical, administrative and academic construction updates.